LinkedIn’s just for expanding your network and checking out other people’s resumes, right? Wrong. 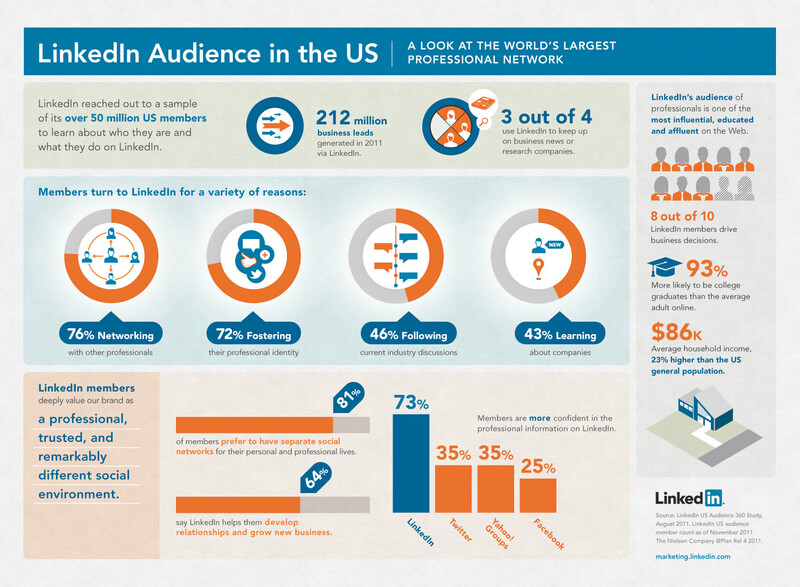 LinkedIn, the business-oriented social networking site, has become more of a spot for content sharing in the last few years. While most small business owners, startup employees, big-wig execs, and even interns use LinkedIn to advertise their skills and experience online, few post or share content within their networks. This is a mistake. With more than 200 million users and counting, LinkedIn offers a prime market for content sharing, spreading the word about the work you’re doing, and getting more web traffic. Sharing projects and business news stories is essentially free advertising for you or your company’s skill set and professional know-how. Posting often about interesting topics shows your connections that you’re in the loop and on the cutting edge of new technologies and schools of thought. LinkedIn creates a unique niche for content, in that its users are mostly older than 35 with higher incomes than the general public. Take advantage of this free resource to access potential clients, business partners, and experts in the field. The site’s group feature makes way for even more specialized content crafting toward a certain interest group like “Social Media Marketing,” “Small Business Network for Startups,” or “Women in Technology.” And getting enough shares on your posts to reach the classic “LinkedIn Today” section of the home screen provides incredible visibility for your personal or corporate brand. That being said, LinkedIn’s higher caliber of user requires a slightly higher caliber of content. If certain posts seem too serious or in-depth for Facebook or Twitter, consider sharing them on LinkedIn instead with viewers who are more likely to take the time to read and learn from them. It’s important to understand that the current under-utilization of content sharing on LinkedIn only increases the impact of each individual post. In essence, with fewer fish in the sea, it’s easier to be a big fish. Genuine reflections about doing business in today’s world and useful industry insights are respected and shared often in this innovative and progress-driven environment. Information or processes which seem commonplace in your job could prove exciting and useful to those in other fields and positions. Interesting perspectives on how political and technological changes could affect business in the future can generate a serious following, and sometimes go on to shape discussions on the national stage. LinkedIn has become a hub for many industry-wide discussions. So what are you waiting for? Get in on the conversation and share your expertise with the world! Spread your name or become a recognized expert in the field. And remember, sharing is caring.